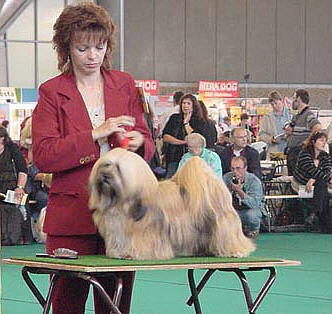 Best of Breed over 74 Lhasa Apso's !! 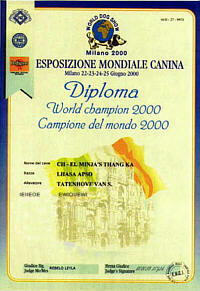 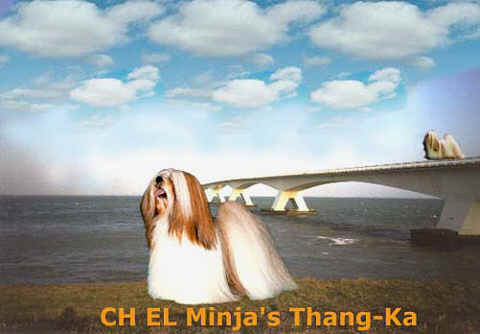 in 2005 also a son of CH EL Minja's Thang-Ka won best in show. 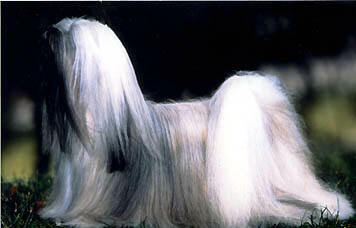 bred by EL Minja's kennel and producer of many Champions, from this same litter I kept a female and down from this breeding I still have Lhasas at home and in the showring. 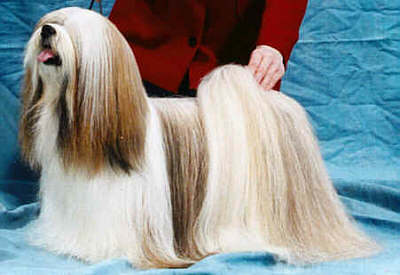 Lhasa Apso, lhasa apsos, Lasha Apso, Laso Apso, dogs, pets, animals, dog breeding, Tibetan dogs, purebred, genetics, health, advice, dog breeders, history, breed standard, puppies, puppy pictures,photo,el-minjas.com, Lhasa Apso information from Topwinning EL Minja's dog kennel we have Lhasa Apso puppies for sale; check out our news and puppy pictures,photos,champions parade!Look for our Genetica"